While China has made immense investments in science and technology, and while these are producing results, it is still dependent on Western technology. This is particularly true for semiconductors. China’s dependence on foreign semiconductors has worried Beijing for decades. China suspects that Western semiconductors contain “backdoors,” intentional vulnerabilities that can be exploited for intelligence and military purposes. In 2016, President Xi Jinping said, “the fact that core technology is controlled by others is our greatest hidden danger.” Vice Premier Ma Kai said at the 2018 National People’s Congress, “We cannot be reliant on foreign chips.”1 China intends to end this dependence, but despite 40 years of investment and espionage, it is unable to make advanced semiconductors. Along the way, there have been embarrassing frauds and expensive failures. Today, only 16 percent of the semiconductors used in China are produced in-country, and only half of these are made by Chinese firms. It is dependent on foreign suppliers for advanced chips. China aims to produce 40 percent of the semiconductors it uses by 2020 and 70 percent by 2025. “China 2025” has become a catchphrase for China’s aggressive industrial policy and something of a hobgoblin for policy-makers, but we should not take yet another report by Chinese planners too seriously. China routinely cranks out economic plans; what counts is not the plan but the money. The total planned investment in semiconductors is $118 billion over five years, including $60 billion from provincial and municipal governments (although government investments in China can suffer from politicization and corruption). For comparison, leading Western firms also invest billions annually in research and development (R&D). Intel invests over $13 billion while Samsung and Qualcomm invested over $3 billion each. Huawei spends about $15 billion and ZTE about $1.9 billion. The long-standing debate about whether China could become an innovation power appears to be over (with two significant caveats). The first is that successful Chinese innovation is still limited by the country’s relative technological backwardness. The second caveat is that Chinese innovation blossomed in a period of relative political openness. Now that openness is shrinking under Xi Jinping and has been accompanied by greater state economic direction, it is possible that the trend of increasing Chinese innovation will slow or reverse. Both China and the United States have advantages and disadvantages in what is a contest over governance as well as investment and research. The multinational nature of research and innovation complicates any national competition for technological leadership and will create forces that both states will find difficult to control. A globally-oriented U.S. industry may have an advantage over a nationally-focused China. China’s technology sector has vulnerabilities. Centrally-directed economies are less efficient, since government policy supplants market signals on where to invest. Easy access to credit allows inefficient firms to survive, draining resources from more productive activities. Previous rounds of semiconductor investment in China saw new firms (often funded by provincial or municipal governments) close after a few years. Nineteenth century Chinese reformers asked whether it was possible to absorb Western technology without also absorbing Western political ideas. At the risk of tremendous oversimplification, the answer was ultimately no. China’s Communist Party faces a similar problem, but with greatly enhanced tools of social control and surveillance, it expects to avoid a similar fate. Semiconductors and microelectronics are part of interdependent manufacturing network centered on the Pacific Rim. Disentangling this integrated supply chain, created under more favorable political conditions, will be difficult for the United States, since many U.S. chip companies either have facilities in China or rely on Chinese companies for lower level functions like testing. Interdependence will also hamper China’s efforts to build a national industry, since competitive advantage lies with the internationally distributed supply chains. This report is part of the CSIS China Innovation Policy Series (CIPS) made possible by general support from Japan External Trade Organization, Semiconductor Industry Association, U.S. Chamber of Commerce, Microsoft, General Electric Foundation, and the Smith Richardson Foundation. with moore's law bottlenecking there's a great potential for Chinese semiconductor foundries to catch up. Made in China 2025 is simply a legitimate plan for China to move up the economic value chain, so it's incredibly arrogant for them to oppose it as a disruptor simply because the Chinese are not willing to stay a low value added factory. China moving up the value chain will also create a massive middle class consumers that will in return consume more. btw don't you find it hypocritical for them to criticize China's government led innovation initiatives, then in their closing statements urge the US government to put more into state subsidized innovation? If US doesn't ban ZTE, Chinese will never be awake for low level researches. It is fated China has to take the hard road to be self-sufficient before it can claim the top spot. No, US just speed up the way. China has its own R&D plan. US denied China from doing things with NASA, international space station, GPS, ...Look China now. American arrogance and imperialist nature have no boundaries. Bottom line for China and other nations need to be self-sufficient in all areas possible. Dan T, absolutely true. The US lackeys wouldn't agree, but they are a minority group that no other intelligent people of the World supports. Huawei said why China steals from you that you don,t have hahahaha Americunt has no answers. Americans always think that they have a god given right to dominate. is that America wants the Chinese market without giving anything in return. way Americans see the world. Get what (the market share) it wants it then gets nasty with sanctions and threats and cries foul. This discussion misses most of the major logic behind China's effort in semiconductors. The emergence of the semiconductor industry was largely driven by the American Pentagon's spending on defense contractors, national laboratories, and funding of the American academic world. There is nothing new about government spending on objectives that are central to national security. Japan, South Korea, and Taiwan all have already acquired an high level of competence on semiconductor design and fabrication. The idea that there is some fundamental factor that will forever keep the 1.3 billion people of China dependant on some American supremacists for their semiconductors is absurd. More advances in semiconductor technology are not the bottleneck for most effective applications of computers. The United States has shown itself to be the global aggressor and prone to threaten any nation that refuses to accept American dominance with economic warfare. The priority for the Chinese is to get to a place where the United States Senate cannot hope to destroy a Chinese company like ZTE by refusing to sell them commercial semiconductor products. 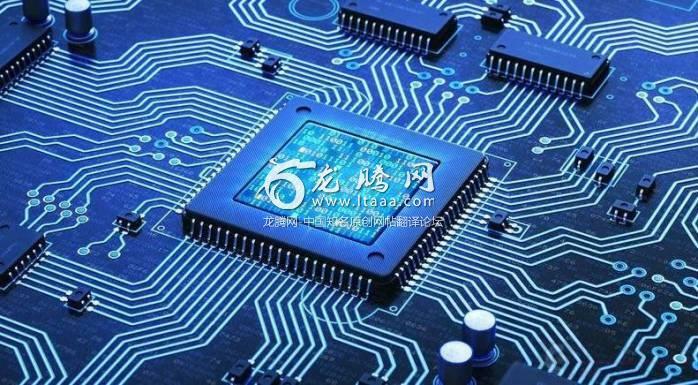 Most likely China will eventually achieve the capability to be a top tier competitor in semiconductor design and manufacturing. But, its major need is to eliminate its dependence on the United States for semiconductor products that are good enough to keep its computer dependent services running and to provide the functional products its society depends on. Its success at achieving that level should help reduce the potential for suicidal American supremacists to try to divide the world into the puppets who accept American dominance and those who resist. What oversight mechanisms are the US prepared to accept so as to prevent the US government from arbitrarily cutting off supply in another ZTE-like episode? How can the US expect the PRC to simply give up its quest for semiconductor independence when the US can simply arbitrarily cut off supply to the PRC whenever the latter sells to a customer that Americans dislike? As long as the Americans continue to maintain & exercise this level of hegemonic power, it is bad for China & bad for the world to simply accept US semiconductor dominance - one that should rightfully be broken by any means necessary. These people think that the USA has the divine right to lead in high technology. so it is natural place they want to develop some of its own manufacturing capabilities. It is a win win industry for the China to get into. And I don't think anyone can pursuit them from go there. The arrogance on this panel is just incredible ! Military Industrial Complex vs State Industrial Complex. China manage to divert more state funds to R&D because it didn't spend 17 Trillion dollars fighting wars in desert. Competition in R&D is great for the world, humanity wins. Maybe the China threat will cause US to divert public funds back to TECH R&D , rather than wasteful hot wars.